Today’s show is brought to you by Revolution Math. Revolution Math is an after-school learning program for kids in second through fifth grades. Each week the child signs onto a remote session with a tutor and completes an adventure mystery by solving math problems. My fourth grader looks forward to it every single week, and my second grader has loved watching so much that we’re going to sign him up for this next month. I have a special offer for you to give it a try. See what your kids think about the program by getting your first month free, plus a box full of math tools shipped right to your door for just $1 to claim this special offer. Use the code LIVEFREE1 when you sign up revolutionmath.com. Now, you are going to get an email notification when your trial month is almost over, so don’t worry about forgetting to cancel. If you want to just try for one month and claim the trial offer alone. The value of the math toolbox that’s going to be shipped to you is more than $1 to begin with, and you’ll also receive four one hour tutoring sessions for your child, so with nothing to lose, I hope you’ll give it a try and let me know what you think we have loved it so much in our family and I wanted to share with everyone else, use the code LIVEFREE1 at revolutionmath.com. To claim your offer, get your kids excited about learning math and feel like a superstar parent all for just $1. Read more about our experience with Revolution Math right here! Hey there friends. Welcome to the podcast. 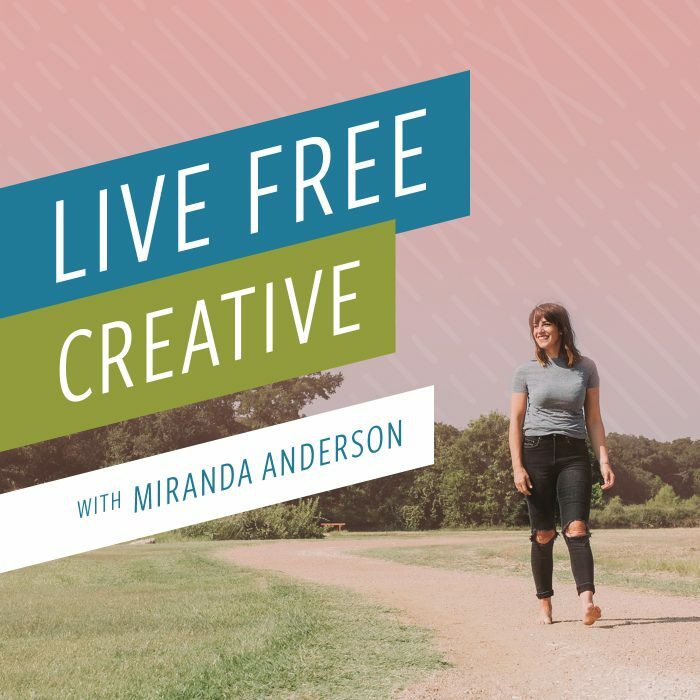 I’m Miranda Anderson, your host of live free creative, and today I have a special guest with me, my husband, David Anderson. D: Hey guys. How’s it going? Dave was on the podcast on episode 10, today is episode 24, so we gave him a little break and I’ve invited him back in because our topic today is something that I think will be more interesting with two perspectives especially and particularly the perspective of a husband and wife because today we are talking about how our life looks different than we expected when we first got married, particularly surrounding the number of children that we have decided to have. This is a super sensitive, personal and unique topic. Growing a family has so many different perspectives. It has so many different challenges. Everyone’s situation looks very unique and we recognize that and in fact, as we discussed this last night, we both feel a little nervous. We have butterflies surrounding the idea of trying to approach a topic that has a lot of implications, both spiritual and religious and political and emotional. There’s a lot that goes into the decisions surrounding growing a family. And so we have decided that rather than, of course suggesting or giving tips or advice about what you should do in your situation because it’s so unique and we couldn’t possibly ever offer our guidance to you as individuals and families. What we can do is share our own experience as you listened to the show today. This is going to be us talking about our own life, our own beliefs, our own culture, our own emotional state, our own decision making process and the things that have happened in our life and the way that we’ve looked at them that have brought us to the point where we are today: Super thrilled with our family of five. We have two boys and one girl. We have a dog, we have four hens, and we really, really love our family and feel like it is the perfect family for us. Before we dive into this intense topic (we’re going to try to not have it be too intense. We’re going to try to share it in a lighthearted and fun way so that you just know where we’re coming from. ), we are going to share a magical adventure moment. Actually, Dave is going to share a magical adventure moment, but I’m probably going to chime in. I want to quickly set this up for Dave. When I graduated from nursing school, we decided to go spend a month traveling in Asia, so we went to Singapore and Malaysia and Thailand and this particular moment I was just asking Dave. “Okay. What do you remember from Thailand? What jumps out at you?” This is what he remembers. D: So we were on a train to Kanchanaburi. And we met with a guy from New Zealand who had been imagined backpacking for months. He always talked about how in life there are magic windows and what he meant was if you turn a corner and you see this beautiful view, he’s like, that’s one of the magical windows, and it was kind of stuck with me through my life. The opportunities to see the magic windows in your life. I love that so much. I totally didn’t remember that story or this guy saying that. However, I do remember that guy. He was a tall lean guy with glasses, definitely had been backpacking for a while, looked pretty rugged, like he’d been through the ringer. I don’t know how we met him on that when you travel for long periods of time, you kind of meet people. So he had met him on the, on the train. We spent the whole day with them. And what an interesting thought that I love that, that stuck with you because I don’t, I remember him clearly and spending the day with him and I think you two both went and got haircuts and shaves in a little corner place near markets! That idea and magical windows that, that is almost like what this segment is the magical adventure moment. 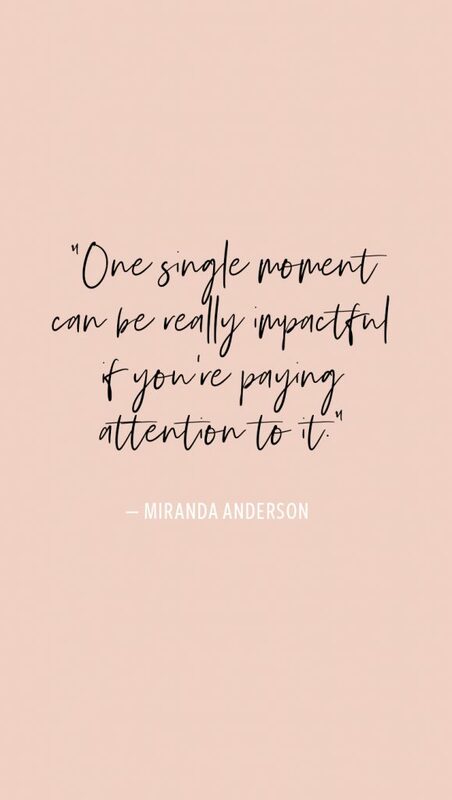 Just really understanding that so much can be learned or captured or that one single moment can be really impactful if you’re paying attention to it. So I love that he, that he talked about that turning a corner and just seeing of you or something memorable.Just to having that magical window into especially something you haven’t seen before. So. Cool. I love it. Thank you so much for that magical adventure moment, Dave! The reason that I brought up Thailand and asked a for a magical adventure moment from Thailand is because that is really where our journey to growing our family began in our heads. Of course, if I back up a little bit further, I mean, let’s be honest…If I back up all the way we started thinking about our future family from the time we were little. Right? I think that that’s really well understood for for women and little girls who play with babies. Not to say that boys don’t play with babies or think about it as much as girls do, but it’s really driven into young girls. The idea of being a little Mama. In fact, I call Plum “Mama” as one of my nicknames for her. “Little Mama.” So, this idea of being a mother and a father and thinking about your family comes from really early. Dave and I particularly grew up in a in families and in a religious culture where the family unit is so important. We both come from big families. Dave has two brothers and three sisters. That’s wrong. No, that’s right. D: Three Boys. Three girls like the Brady bunch. Yep. And I also have two brothers and three sisters, but I’m a female so there are four girls and two boys as far as the children in my family. And so those are pretty big families to grow up in. And it feels really normal to you? D: To have a big family? Yeah. Yeah. I mean a lot of the people in the neighborhood where I grew up in, they had big families too, so it seemed very normal. Right. We both grew up in Salt Lake City, Utah for the majority of our young years and big families where the norm. In fact there were a couple families in my neighborhood that didn’t have four or five, six kids that I remember thinking were this very small family. So if someone had four or three children, I felt like those were very small families. Dave didn’t feel that way or maybe you didn’t even notice that media wasn’t paying attention? Yeah, so I was very aware of family size. I particularly remember the feeling that the more children a woman had, the more super have a mom she was. Women who had six, seven, eight, nine, ten, even more… (we have family and friends who have into the teens) number of children that those women were revered as supermoms as super women. I believed that by virtue of the quantity of children they had their value as a woman was heightened and increased. I remember voicing this to Dave years ago, I think after we had had one or two babies and him being absolutely shocked by this perspective that I had. D: Yeah. I was like, what are you talking about? Why would that have any impact on what kind of person they were? Right. Well, and it doesn’t, I think just by virtue of our culture where children are viewed as blessings and children are viewed as purposeful. In fact, having children… getting married and having children is the ultimate mission here on earth. That idea wasn’t so far of a stretch. It wasn’t like I just invented it. I don’t know that I had ever been very overtly told if you have more children, you are a better person, but I sort of. I kind of pulled that out of the experiences that I had and the different people that I knew and I think I also saw that a lot of women struggled with lots of children, but they did it anyway and they called it a sacrifice. They did it anyway because they felt like it was right and they felt like it was good. That’s not to say that it isn’t right or good for those women, but it hadn’t really occurred to me that the number of children that someone had was a decision that you could make and feel good about without a lot of divine inspiration and with a lot of outside counsel I guess. D: Yeah. So you’re saying that you felt that if it was possible for you to have more kids than you should. You should. Right, and a lot of things I remember specifically learning. You shouldn’t necessarily wait to have kids until your finances are in order because all of that will work out or because you shouldn’t wait until this or that or the other. You shouldn’t wait until your life is perfect. To some degree, I still agree with that in some ways because your life is never going to be perfect. If you waited until you thought everything was aligned and you were absolutely 100,000 percent ready to become a parents. That feeling doesn’t really come. You can be prepared to take on this totally unknown challenge. But I don’t think that you ever feel like, I know that I am ready to be a fantastic parent. And that’s, where it is. D: There’s a big difference between being ready and being prepared. Right? Expand upon that a little bit. D: Well, I mean, you may be ready to have kids, but maybe your life isn’t in, in a situation where you think it would be appropriate to have kids. Right! You might be thinking how much money you need to have in the bank or how much education you have had or how much time has passed since you got married or have had your partner or whatever. All of those things are sort of arbitrary and self imposed there. It’s not like there’s one standard common standard worldwide, cultural wide that says this is the right path for everyone. I think even just understanding that there isn’t one right path, that there isn’t one cultural standard that is above all others is really freeing. It took until we were in the middle of the journey ourselves for me to start to understand. So back to Thailand really quick. When we got married we decided we wanted to wait until Dave finished law school. Why are you laughing? This is how our conversations usually go. So just quickly to set it up a little bit. Our experience, we got married and had before we got married, we talked about wanting to have children. In fact, I think that we talked about wanting to have children before we talked about wanting to get married. Not that they would happen in that order, but we were sitting on the beach in Mexico. We were there for a friend’s wedding and we were talking about how fun it would be to bring our kids to that place, to Akumal Mexico. We hadn’t talked about getting married, but we knew that for us that that would be a first step we were already talking about our life and our kids before we talked about all the things that needed to come first in our experience. D: I also remember a conversation, I don’t remember if it was before we got married or just after we got married, but it was on, it was at the roof. Remember the restaurant? We were sitting by the window looking over the temple and I remember the Salt Lake Temple. I remember having a conversation about how many children we wanted to have our family. Oh, I don’t remember this. Tell me more. D: Well, I mean I think we decided on four or five. So that’s what I remember. I don’t remember that particular conversation, but I remember thinking I wanted four or five. I liked the idea of four, but I really like odd numbers. I thought that five would look better in pictures and five was just a good solid number. D: Important aspects of growing a family. Yeah, exactly. All the things you need to think about. How will we look in a family picture with five children? It looks a little more balanced just because of the rule of asymmetry in design. Right? D: Design the perfect family. Yeah. Design the perfect family according to exactly what will look good on a Christmas card. That is what we did folks. And that’s the end of the episode. No, just kidding. So I liked the idea of four or five. So that’s what we had talked about. I’m going to zip through this, try to. I’m very long winded, but I’m going to try to. So we got married, we planned. Let’s start having babies when you are in your last year of law school, because I had graduated from nursing school, I was planning to work full time while you went to school and help support our family that way and pay for things on the back end and then we would decide to have a baby. Then that last year of law school you could start working, that that’s the way it was going to really flow well. D: So by the end of law school we would”be prepared” to call back to what I said earlier. Exactly. We would be”prepared” to start our family. So I graduated from Nursing School and we went on this month long trip in Asia and as soon as we get home we’re going to move to New Hampshire for Dave to start law school. And on one of the days of our trip– I was not even really thinking that much about having kids. We had already decided that we would put it to the future. I had the thought that I wanted to have a baby, and that I wanted to start our family. I remember being nervous to talk to you about it a little bit because we had already sort of set ourselves up for this preparation of let’s wait until the time is right and we’re financially more prepared and everything. And this was… I hadn’t even started. I haven’t even found a job yet. I just graduated and I’m thinking about getting a job and it’s an impression that was a spiritual impression. I feel like it was definitely not just me thinking “Oh, I want to have a baby!” But I felt like I wanted to start our family and that I was inspired with this idea that God supported that feeling and that it would be okay. I think more than anything, it was a feeling of peace because I think before that, when I had thought about it, I was like, ohh. Freaking out about the idea and all the logistics. It was a feeling of peace confirming “We can do this and everything will still work out.” And so I remember I’m talking to you about it in this little tiny hotel room in the middle of the countryside and Thailand and your eyes just filling with tears and you’re saying, I’m so excited. I’m so excited. let’s have a baby. D: I remember that moment very clearly. We were on our way to a tiger conservatory. Yeah. And we had a, she had this really special moment where I, I definitely felt that same peace and we may not be prepared but I think we’re ready. Exactly. Yeah. So we were really, really lucky and really blessed and didn’t have any trouble getting pregnant and I know that that is something we don’t take that for granted and we know that that’s something that is really tricky for a lot of couples. I feel like more and more as time goes on, we’re seeing infertility as a major issue and obstacle that families face. We were blessed to not have that problem. So I was pregnant very quickly. I remember when I applied for my job that I eventually worked at in New Hampshire, I was already 12 weeks pregnant and I was glad that I wasn’t further along because I didn’t want to tell them I was pregnant yet knowing that, and I knew that legally it shouldn’t matter, but I got that job and really, really loved it. That was my first job as a diabetes educator. I was working as a nurse, nutrition and exercise counseling and it was fantastic. And pregnancy was a trip. I was sick. I was really blessed to be sick and afternoons not in the mornings, because I, I taught early morning Bible study for our church and then I went to work at 7:00 AM and I worked until 3:00 PM and I would come home from work and be sick until I went to bed. I remember in particular, so I only could eat bagels and cheerios. If you tried to bring vegetables in the house, I banned them. D: Right. We picked up a box of or several boxes of vegetables every week and I remember I was at home emptying the, the vegetables, preparing him to store them in our fridge and you came home and said basically we have to throw those all away. Only bananas and Cheerios. I felt like everything was rotting, was just a weird pregnancy quirk, but I, any produce fresh produce, I felt like it was rotting and it was going to make me even more sick. And so I couldn’t handle it. Another other sweet memory I have from that first pregnancy was that it was really cold. Freezing, freezing many, many degrees below freezing. This is in central New Hampshire and something had happened to our hot water. So it kind of went out and one of the only ways that I could feel relief from my nausea in the evenings was to take a hot bath and our water wasn’t working. So Dave filled up our little green tea kettle, I don’t know how many times. Maybe a hundred times to fill the bathtub with hot water so that I could take a bath. D: I forgot about that. You’re a champion. I remember that now. I just remember that so clearly. All I wanted, all I all I wanted was a hot bath and Dave just tirelessly filled up this little tea kettle, heated the water on the stove, poor decision to that stuff so that I can have some relief from, from the nausea. D: Surely there there was a better way to do it. I don’t know. I thought it was pretty pretty creative. So the point I wanted to make with the backstory is that we had made a decision based on arbitrary ideas for what we thought was the right timeline for our family and that we changed that decision and we felt good about the decision change. We didn’t hold ourselves to the idea of what we had already decided. 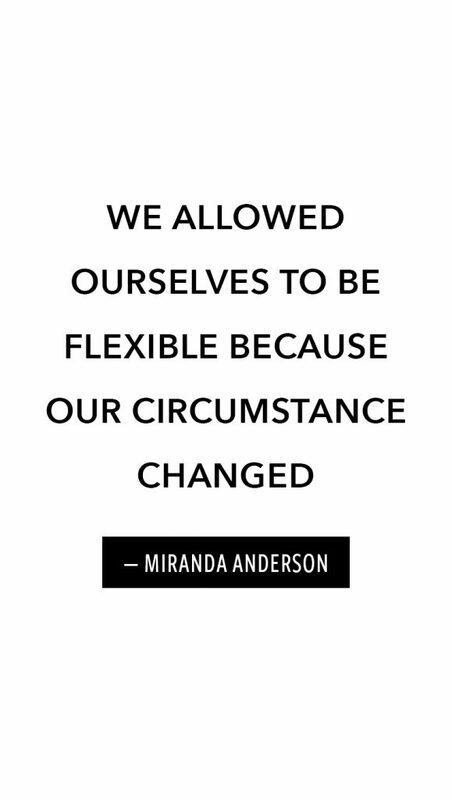 We allowed ourselves to be flexible because our circumstance changed. And the only circumstance that changed was our own perspective. And our own inspiration and our own feeling about it, but the feeling can be what changes we allowed ourselves to flow with the new decision and I feel like it was. It was the right decision for us, we have never looked back and regretted that decision. The timing was crazy. I was in the middle of my first job. I was pregnant that whole first year. Milo was born in the middle of the week during law school finals, the first year of law school finals, which are really, really big deal. While he wasn’t born in the middle of the week that Dave took a test on Thursday. He was born on Friday. D: Milo was born Friday afternoon. My next text was on Tuesday. Yeah, so we had a couple of days the weekend and then Dave went back to finish his finals that week and then two weeks later we moved to Utah for an internship. During that summer decided that we were going to transfer law schools and then we moved, not back to New Hampshire, but we moved back to Washington DC. So the timing was it to all outside sources. Looked absolutely insane, but it felt peaceful. It felt right and it felt good. The second thing that I want to point out about this decision in our personal life was that we had no idea what pregnancy, what growing a family the actual physical, emotional toll of growing a family looked like. Pregnancy was really hard on me and I didn’t know that it would be until I was pregnant for the first time. Emotionally it was really difficult. I didn’t feel like myself. Dave had to pick up a lot of the slack and this was my first pregnancy before I, my responsibilities involved, going to work and coming home and being a wife. But other than that, I didn’t have any other children or any other outside responsibilities yet. And so that was something that was kind of a wake up call. Something that we didn’t necessarily expect. However, I knew when I went into that first pregnancy that it wouldn’t be my last. We had decided we wanted to have four or five kids and so after delivering my low laying in the hospital bed and either holding him or having him in the bassinet next to me, and this is just an hour or two after he was born. I delivered him naturally and if you want to hear all about my birth stories, I actually recorded all three of them with the birth, our podcast and I will link those if you’re into that. Some of you may be more into birth stories than others, but I will link the episodes that I recorded with Brynn at the birth, our into the show notes so you can go and listen to those whole experiences if you want. I remember holding him after this really empowering incredible delivery after a really hard pregnancy and asking Dave when he thought would be a good time to have another baby. I don’t think that’s a normal thought for someone who’s just had their first child. D: No, but if anyone would think it would be you. D: You’re not strong on patience. Yeah. That that’s true. I mean I just knew, Milo is a sibling. I didn’t think about him as being an only child ever. Even when he, as he was the only child in existence in our family, I thought about him as being the older brother of our family. He was the oldest that was his, that was what he was going to be. I was really excited about…we had gotten started forming the family so, let’s do it, let’s have a family! I felt that way during the first year of his life. I was, I knew that I needed to rest and enjoy this baby, but I didn’t really. I mean I enjoyed him, but I didn’t realize your mom came to help us and I decided to take her on a day trip to Boston. I had a two week old. I mean just , it’s bizarre. Thinking back on the way that I just didn’t take the time that I maybe should have or needed, but I was, I felt good. I felt great. My pregnancy was over. I love this little thing, this little tiny person, and we enjoyed him and I enjoyed planning for the future planning for the next one. Around 10 minutes I decided that now was time I didn’t want to wait any longer. I wanted to have another baby and to get this show on the road, so we started trying to have another baby and I again quickly got pregnant so before Milo has even turned one and I’m pregnant and shortly after he turned one, I lost the pregnancy. That had never factored into my planning that I had never considered the idea that the road to growing a family involved things that we couldn’t control, being pregnant and then not being pregnant all in the same couple months. I think that it. It was deeply sad for both of us. It was really confusing for me and for those of you who’ve gone through a miscarriage, your experience may be totally different than than mine was. I was about 10 weeks along when I miscarried. I truly felt like I didn’t understand why when I was trying to do what I wish I had always taught was good and right and wonderful, grow a family, like get married, be a good wife, have babies, have as many as you can that I didn’t understand why it didn’t work. Why when this was something I felt like God wanted us to do, why then did it not work out, and maybe it was my first real acquaintance with that type of confusion or, or grief in my own life. D: Yeah. I think it really brought in a sense of gravity and reality. Just the real obstacles that are involved in bringing a child into the world. Like you said, the first one was relatively textbook, how you thought it was supposed to go. It just kind of happened. And then when this happened, when the miscarriage happened was , oh wait, there’s more than just my plan or my idea of what should happen involved in what’s going right. Yeah. It was definitely a hard dose of reality. And along with that, it took some of the control out of my hands because my body immediately following my miscarriage. I had really high hormone levels that it took weeks to reduce down to normal levels. And then after that my doctor had counseled me to not try to conceive again for at least three or four months. And so I think back with such gratitude for this particular time period, because it was the first time since Milo had been born, that I truly was not thinking about getting pregnant. I was not thinking about the next month or the next idea of when we should grow our family. Because I had been given counsel and I had been…the control had been taken from me. “Do not conceive in the next few months.” And I took that opportunity to go all in with Milo and to just love on him as my only baby. And I also took that cue to take care of myself and to get really healthy and to take the time that I needed to heal emotionally and physically from that trauma. And then after those, that period of waiting had passed and we decided, we’re healed, we’re in a good place. We’ve been given the green light, we can go ahead. We did soon get pregnant again with Eliot. We were so excited, so excited and I also took it very cautiously and I felt sort of a temporary measure of I’m not in control. even if I think I’m in control, I’m not in control and that is a little bit scary. And so this experience and added this next layer along with we’ve talked about the flexibility with our own, prior arbitrary decision making process. We’ve talked about the actual reality of I’m experiencing the journey of growing the family that I had learned with Milo. And then when I had that miscarriage and then was pregnant with Eliot, I learned that I was not in control by felt like I had a sense of what to expect because I had been pregnant before. But I realized with this pregnancy that I was really just not in control of, of really any aspect of this journey as much as I want it to be. Now Eliot’s pregnancy rocked my world. I had been sick with Milo, with Eliot. I was bed ridden. In fact, you were in the middle of law school. So this is your second year, third year or third year of law school. D: He was born a month before I took the bar exam in Virginia. Right. So not good timing again at the beginning of the pregnancy though, I remember laying in bed and throwing a ball down the hallway for my low to go, run after and grab it. I was playing catch with our son. He would run and grab the ball and bring it back to me in bed and I would throw it down the hallway again so he would run and bring it back to me because I couldn’t get out of bed. But he needed to be cared for. And at some point early in the pregnancy I realized that I didn’t have the energy to do that. And so I went, I moved home to Utah and I lived with my mom for about two and a half months during the holidays, November, December, the New Year. I came back in the middle of January just because I needed the extra support. I was so sick and so uncomfortable and so sad. It was really emotionally draining to, I don’t know that I had understood how globally I would be affected by these pregnancies. And this is my experience. Are we living in alternate realities here? Which we totally were, we absolutely, people’s experiences are so, so different. I bring this up just to identify that this entire journey start to finish is unique and there’s a lot of factors to consider. So, Eliot is born I love him and I have him and tell Dave we can’t talk about having another baby until he’s at least 18 months old. Which maybe doesn’t seem very long to any of you, but I had been talking about having another baby since Milo was two hours old. So, giving myself the space to just enjoy having the boys for over a year was really necessary for me to recover and kind of get a, get a grip on the whole being a mom of two kids thing and settle into a positive routine. D:Yeah. And I remember thinking to myself, we may, we may only have these two kids and if Miranda at some point is ready for another one, then we can talk about it. But until then, these are our, this is our family. You had such a good perspective because you did just take each one as they came and maybe some of that was that you hadn’t created this whole idea in your head of, how much better of a person you would be if you had more kids. And I mean maybe that’s just weird, but I’m sure that some people out there will relate to that idea. We did just absolutely enjoy the boys. I feel like that was such a fun time. I took them all around downtown. You had graduated and started working and so our budget was a little more flexible. We did a little bit more traveling. We, we had such a fun time. Then about 18 months. I mean this is , it was really within a week of 18 months we went to a work Christmas party and I think I had realized , okay, we’re at 18 months, how do I feel about the baby situation? And one of your coworkers had brought his newborn daughter. She was less than a month old. And I asked if I could hold her and the moment he put her in my arms, I was like, “Okay, Yup. It’s time.” My heart has melted into a puddle, I want a baby. I’m ready to have another child. And so, let’s begin this process all over again. D: You were involved in lots of things outside of taking care of the kids. I don’t know. Did you mention that at all? No, so I, at this point I was writing my blog and five days a week, I was doing custom sewing projects at, in, at nap times in, in the late evenings. And I was working on my first kind of big sponsorship for the block and I was working two or three days a week as a nurse still. D: Yeah. And on top of that, I was new in my career and I was in a relatively busy, stressful job myself. And so when Brenda approaches me and says, I think it’s time to, to have another baby. I did, I thought to myself and set it out loud that there are some things that need to there’s something that you need to choose to take out of our lives. So maybe you can replace it, right? And you said, “What are you willing to sacrifice basically in order to make this happen?” Which was so smart of you. And I’m just so glad you did that. And I said, “Okay, yes, I will stop blogging.” Which I had been doing for at that point, six years. And I said, “I will stop taking sewing orders.” And I did. I was booked out on sewing orders through, through a few months down the road, but I took a whole year off, maybe a little more than that. We decided to have another baby and then of course, as timing we’ll go with our family. We got pregnant with Plum, we decided to change jobs. We decided to move to Austin. So you got a new job. We moved to new city and we decided to start building a house, so during 2013 we got pregnant, moved jobs, moved houses, moved cities, closed on our house, had the baby all in that one year. D: That was a big year. It was a big year. So then, so Plum is obviously our last child. She’s our third baby, she’s just turned five. So during this time was when we decided that this was our family and I think that it came in nuanced ways. All of the factors that we had previously considered: that we need to be flexible with our decision making. I’m taking the babies one by one because we weren’t in control weighing in the balance, how much being pregnant affected my wellbeing and my psyche and of course then also spilled over to effect everyone around me. I mean I basically just took a pause. It was like a gap year every time I was pregnant from reality because I was sick and I’m just also mentally not well. This isn’t widely talked about but I’m fairly certain and I wasn’t diagnosed but I’m fairly certain that I had some form of antepartum depression. Postpartum depression is talked about really widely and doctors will ask you questions and screening for the baby blues. No one did that while I was pregnant and I’m pretty sure that if they had asked me about how I felt, if I had intense feelings of sadness or lack of motivation or maybe even unhealthy thoughts about how I was caring for myself or for the baby, I would have qualified for maybe needing to be medicated. Maybe needing some help. And I didn’t know enough about that until after I had finished having babies to understand that that’s something that was even possible. That maternal depression, not postpartum, but actually those feelings during pregnancy can be really intense and can be really hard anyway. I just throw that in there just in case anyone relates or if anyone is feeling that and you have felt like that when you’re pregnant and you want to have more babies and just to be aware of that, that is a real thing. If you are having those feelings or have had those feelings or planned to, expect that in your next pregnancy. Make sure that you talk to someone about that and get the help that you need. Because I think I suffered unnecessarily in each of my pregnancies because I didn’t know how to take care of myself, my mental health while I was pregnant. All of those factors that we’ve talked about, the things that we learned with each different child played into the feeling and the idea that our family was complete about halfway through Plum’s pregnancy, which was again, it was not as bad as Eliot’s, but it was still a difficult pregnancy. I was sick, I was tired and motivated and and also was undergoing severe changes just crazy amounts of change all at once and I think also, and I’m just gonna throw this out there because it’s a factor and I want to be just as transparent as we can as we’re already talking about this. When I found out that she was a girl instead of a third boy, I felt like, okay, maybe our family is complete. Maybe you don’t share that feeling. Do you share that feeling? Did you have that feeling at all? D: That we needed to have both genders? Yeah. That you wanted to have a girl? D: I definitely wanted to have a girl. I don’t think that the fact that she was a girl made me feel like it was complete. That didn’t really factor into the decision, but I was definitely happy that she was a girl. I was so happy that she was a girl. In fact, I think that the feeling that I really had was relief because if she had been a boy, I think I might’ve felt like, okay, I really, really want a girl and so maybe we should have another one. But that’s not something we can control. That’s not something I can do anything about. And so when she was a girl I was relieved because I felt like, okay, I can if I want, feel like this family can be complete. So, we’re in the middle of that pregnancy. I find out she’s a girl. I feel really relieved and excited and I also felt at peace maybe for the first time since ever. I mean, thinking about my family. I allowed myself the idea that this could possibly be our family, even though we had always said that we wanted to have four or five kids and this was only number three. And that thought made me really excited and I think as I allowed myself the idea that possibly we could be done with three babies and I allowed myself to consider it and to think about it and to ponder on it and to just to kind of floated around in my head and my heart. The more I thought about it, the more I felt comfortable with this idea, the more I felt whole with this idea. It’s not to say that I didn’t think that again, we could change our minds if we wanted to. In fact this is something that I decided to try out. I decided to just decide that we were done. Just decide that this baby would be our last and talk about it as if she was and giveaway baby things after she, she didn’t need them anymore. And to share with friends that we weren’t going to have more. This was our last baby and to just try that on and to just roll with that and feel with that and knowing full well that I could change my mind later. I could say all of those things. How many people that I know that have been done. Absolutely done. Sell everything, move on. And then decide they want to have another one? I knew that I could always change my mind, but it felt easier for me mentally, emotionally, physically, spiritually to decide that this, that our family was complete and feel really good about that. And just put all of my energy into that. And then if we decided later to change our minds, we always had that option that felt really good. Choosing to be done growing our family was a feeling and a decision. I wasn’t asking you or anyone else or even God if I was done, I didn’t ask “Are there more children up there for me?” Because I think as soon as I asked that question, I would come back to my deeply ingrained cultural idea that having children is good and if you can have more than that, that’s also good. And I also knew that even people who had babies when they weren’t expecting them a lot of people within our circle and social groups and everything maybe even with a pregnancy you don’t expect, you still are grateful for the child and you’re still excited about it and years go by, you can’t imagine not having that person as part of your family. And so that’s a funny thing to feel like I want to be done. Even though I know that if I added to our family that we would be excited about it and grateful for it. D: Yeah. It’s a lot of mental gymnastics. Maybe I’m alone in this, but I have an inkling that there are other women out there who have had similar sorts of thoughts as they’re making this decision for themselves and for their family. That maybe the idea of having more resonates with your cultural and spiritual understanding, but it doesn’t read it resonate as fully with your own personal desires. And I think that that’s okay. It’s okay to decide and to allow yourself to feel complete. D: …then I don’t have, there’s no decision for me to make. It’s not until you say I feel like I am ready to have my body go through this again, that I enter into the decision process. But until that happens, I am. There’s no decision for me to make in my view. Right. And we talked about a little bit last night and we were kind of going over this idea how there are lots of different ways to add a child to a family and so maybe if I didn’t want to have any more pregnancies, but I did want to have more children. There are other ways to do that I could, we could adopt or we could choose to have a surrogate even. I mean there’s , there are lots of different ways to grow families that don’t involve being pregnant myself and none of those hit home for us. None of them felt things that we, that we were looking for. So that is basically where we, where we settled. The other thing that I really loved about making this decision when I was pregnant, knowing full well that I could choose to have more babies in the future if I wanted, but I decided that this was my last baby while I was still pregnant. I just absorbed every part of that pregnancy. The good and the bad. I felt “This is my last and so I’m just going to soak it all in.” I remember so many things about feeling her move and going to appointments. Just all of the things that I liked about being pregnant. I really latched onto and then I tried to ignore the things that were really hard for me because I knew that they were going to be over and then at some point and I wouldn’t have to do this again. I felt the same way about her infancy. Just I soaked her up so much. I took advantage of every opportunity to just sit with her and to just look at her and all of the rush that I had been in with the boys to like get, get on a system and on a routine and move on with life. I mean you joked with me when she was like 17 or 18 months old and still not walking, but she, she was never going to learn to walk if I didn’t put her down at some point because I just held her all the time. I wore her all the time, I just, she was just my little sidekick and I latched onto that idea because I knew this was my last and I enjoyed every single ounce of it and I loved that so much. “Do I want to have another one? When would be a good time to have another one? What does that look like logistically? How do we plan for the next couple years with an infant or not an infant?” or all of the things that goes into the growing the family through having new babies phase. It changes when you step into the “We’re all here and so now we’re just going to raise the babies that we already have.” I have found so much joy in this phase. I have found so much joy in intentional parenting for the children that exist in our family right now. I felt so much gratitude and peace surrounding the family that we formed and I just love our family so much. I just feel overwhelmed sometimes as I look around and think these are our people, look at this family that we formed. Look at the dynamic that we have created. Look at each of these individual personalities that are just so different and so wonderful. We don’t need any more than that. D: Yeah, it’s beautiful and it’s the attitude you should have regardless of what the future brings. Right? Regardless if you’re planning on having a few more or regardless of whether you’re bringing other people into your family, if it’s possible to to develop that type of attitude, it’s just something that you should do. It’s just really a culture of mindfulness and gratitude, which is something that I talk about on this podcast all the time and I’m really practices that we try to employ in our daily life outside of thinking about family planning, but just in everything that we do. Just whatever your circumstance is and whatever your moment is and whatever is happening that there is bound to be something really beautiful and really wonderful about it. Even in a circumstance that might be tricky or hard and to be present for those things and to feel yourself filled up with joy and with peace and with wonder for the opportunity that you have to even experience these things. And I think shifting that idea and that mindfulness perspective to just really feeling grateful for the present state and have our family and it does change. They’re growing, growing older and we’re all growing up together, but it has been really fantastic to feel like we have all that we need within the family that we’ve formed. 1. Because you make a decision or create an idea in your head at one point in your life about the way that you think things should or ought to be, that doesn’t mean that that’s either the way they will be or the way that they actually should be. You can daydream and plan all day long, but when push comes to shove, if things are different or you even feel like they should be different, when you get to a certain different point with new understanding and with new perspective, allow yourself to be flexible with your own decisions. Allow yourself to make changes as necessary to encompass all of your current understanding and all of your current knowledge and all of your current belief systems. 2. You are not in control of every aspect of this journey of growing your family. The sooner that you understand that and become at peace with it, the more you will be able to witness the miracles that happen along the way and the more gratitude you will feel when things do line up with what you hope for. Because there’s a lot of times they might not. So rather than starting out being upset that you things aren’t going according to plan, just just being aware that you’re not in control of anything except for your own reactions to your circumstances and your own thoughts and feelings surrounding those is really powerful. 3. Have mindfulness and gratitude surrounding every stage of your life. If you’re looking for the perfect partner, if you and your partner deciding how and when to start this journey. If you want to start this journey without a partner. If you have six kids and you’re really excited about having six more, taking the time to live in, in mindfulness and be present with whatever your current circumstances are will allow you longterm joy and fulfillment. D: No, I’m just grateful that you invited me back on. D: Hopefully it didn’t ruin it. Okay, and this has been a long one, so we’re not gonna do anything except for say goodbye. Thank you so much for listening and leave a rating and a review. If you’re liking the show, share it with a friend and we will talk to you next time.